Can You Die From a Dexedrine Overdose? Can You Overdose on Dexedrine? Dexedrine (dextroamphetamine) is a prescription stimulant medication used to treat narcolepsy or attention-deficit hyperactivity disorder (ADHD).1 People may abuse Dexedrine to feel more alert or focused. Dexedrine overdose can lead to psychosis or severe cardiac issues.2 Treatment and recovery for an overdose are possible, but an overdose may indicate an addiction. Are You Addicted to Dexedrine? Tachypnea or rapid breathing rate. If you suspect you or someone you know has overdosed on Dexedrine, call 911 immediately. Prompt medical treatment can save the person’s life or prevent long-term complications. While waiting for emergency medical personnel to arrive, stay with the person. Monitor his or her symptoms, and try to keep them awake. Tolerance level – Over time, chronic users can develop a tolerance, meaning that they will need to take increased amounts to achieve the desired effect. 2 Users with a high tolerance can use excessive amounts of Dexedrine, and this can lead to toxic levels in the bloodstream, potentially resulting in a toxic psychosis with symptoms indistinguishable from those seen in other mental illnesses. Going through withdrawal and relapse – Detoxing from Dexedrine involves physical withdrawal, and completing the withdrawal process will lower a person’s tolerance to the drug. When a person who has been sober relapses, he or she may use the amount that they had been used to taking, which may overwhelm the system and lead to an overdose. Who Answers? to learn about programs to help you or your loved one recovery from Dexedrine overdose or addiction. Someone who has taken too much Dexedrine should receive prompt overdose treatment from medical professionals. Providing medications that speed the elimination process. Changes in mood or mental state. Raynaud’s phenomenon – a circulatory issue in the fingers and toes. People often survive and recover from a Dexedrine overdose. However, overdosing on Dexedrine can alert people to the fact that they may have a substance use disorder. Many who recover from a stimulant overdose seek treatment at a recovery center to manage the underlying substance abuse or addiction issues. Successful completion of an addiction treatment program can help prevent future overdoses, as well as reduce the risk of suffering the potential long-term consequences of addiction. Treatment options for Dexedrine addiction are tailored to meet the needs of individuals. Recovery options can include inpatient treatment, outpatient treatment, and 12-step rehabs or meetings. Inpatient treatment takes place in a hospital or residential setting, where medical and counseling staff are available around the clock. Inpatient rehab can last between 28 days to 90 days or longer. Services are provided in individual and group therapy sessions, with many centers hosting self-help meetings for additional support. Outpatient treatment is less restrictive than inpatient treatment, as participants are free to go home, work, or attend school during the treatment process. Treatment is provided in individual and group therapy sessions, though people attend a set number of sessions each week. Staff in outpatient rehab facilities will often encourage patient participation in self-help meetings while still in treatment, to increase motivation to stay sober, and to build a strong, sober support network. 12-step programs are especially helpful in maintaining long-term sobriety for many people. 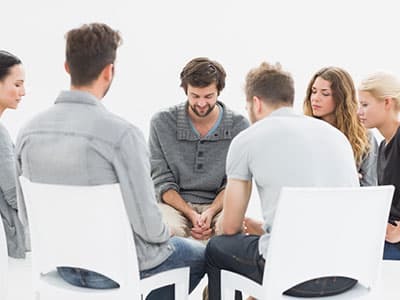 Attending self-help meetings allows people to celebrate and be rewarded for sobriety with tokens such as coins or key tags, develop a supportive peer group, and learn how to cope with stressors and everyday life without relapsing. If you or a loved one has overdosed on Dexedrine, it isn’t too late to get help.
. Mayo Clinic. (2016). Dextroamphetamine (oral route).
. Center for Substance Abuse Research. Amphetamines.
. U.S. National Library of Medicine. (2016). Dextroamphetamine.
. Substance Abuse and Mental Health Services Administration. (2013). Emergency department visits involving attention deficit/hyperactivity disorder stimulant medications.
. U.S. National Library of Medicine. (2015). Dexedrine spansule – dextroamphetamine sulfate capsule, extended release.